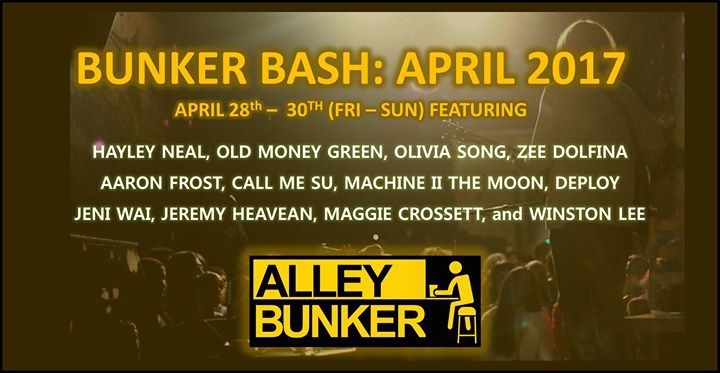 Bunker Bash is a 3 day festival of music at the Alley Bunker! There is no cover for the event and performers receive 2 free drinks as a thank you for sharing your music with us. See you at Bunker Bash!